Apple has just released macOS 10.12 Sierra that has a regression that breaks Direct Mode. $ find . 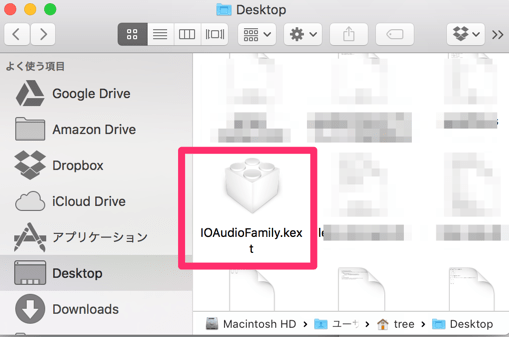 -name "IOAudioFamily.kext"
User differs on "System/Library/Extensions/IOAudioFamily.kext", should be 0, user is 501. 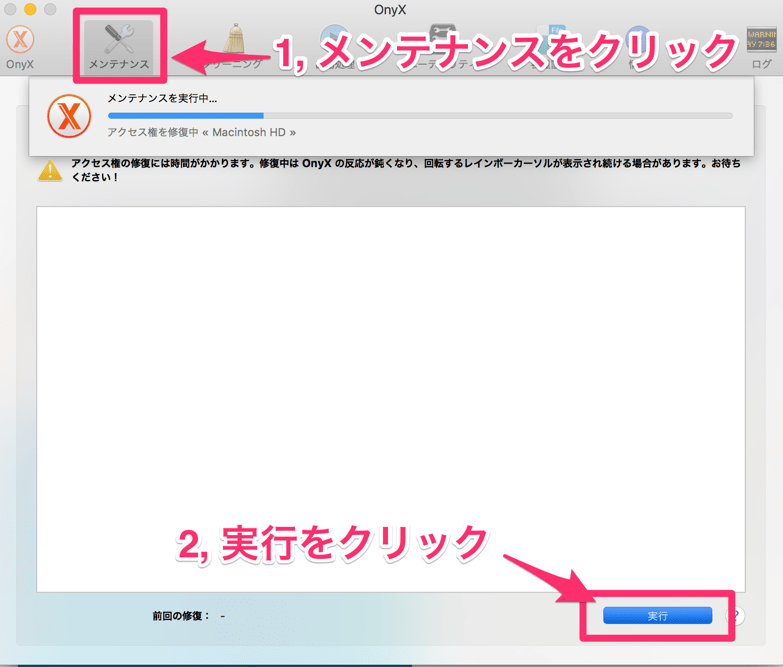 Group differs on "System/Library/Extensions/IOAudioFamily.kext", should be 0, group is 20. User differs on "System/Library/Extensions/IOAudioFamily.kext/Contents", should be 0, user is 501. Group differs on "System/Library/Extensions/IOAudioFamily.kext/Contents", should be 0, group is 20. User differs on "System/Library/Extensions/IOAudioFamily.kext/Contents/Info.plist", should be 0, user is 501. Group differs on "System/Library/Extensions/IOAudioFamily.kext/Contents/Info.plist", should be 0, group is 20. 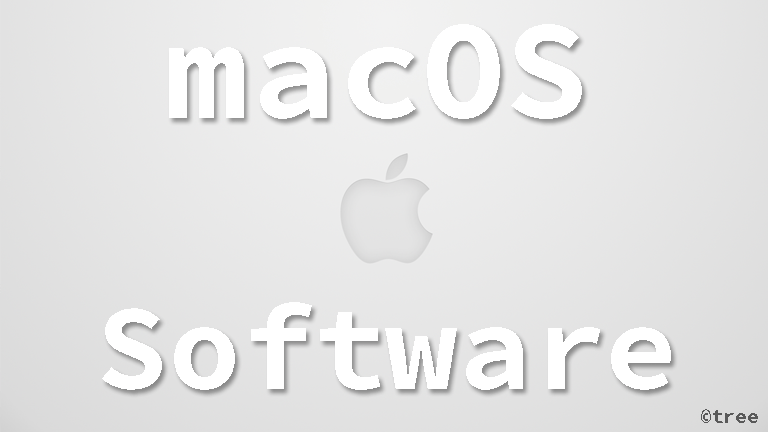 User differs on "System/Library/Extensions/IOAudioFamily.kext/Contents/MacOS", should be 0, user is 501. Group differs on "System/Library/Extensions/IOAudioFamily.kext/Contents/MacOS", should be 0, group is 20. 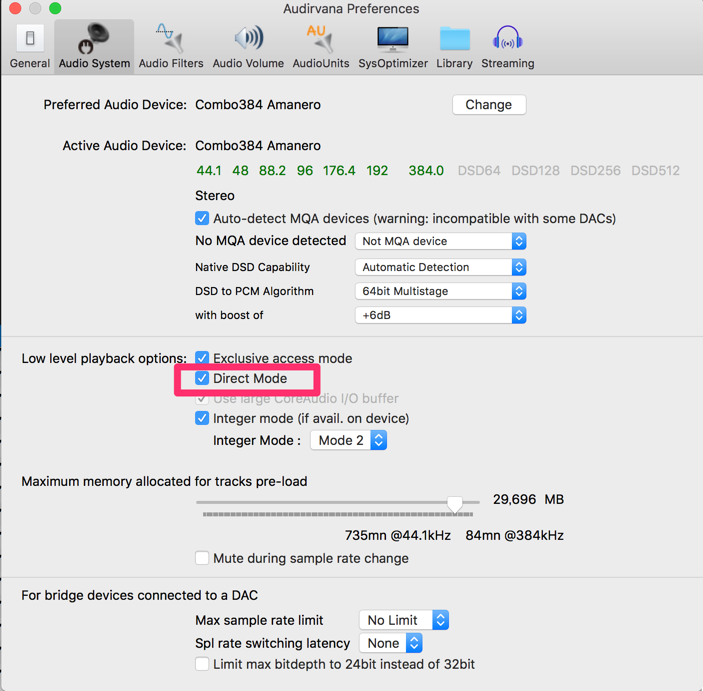 User differs on "System/Library/Extensions/IOAudioFamily.kext/Contents/MacOS/IOAudioFamily", should be 0, user is 501. Group differs on "System/Library/Extensions/IOAudioFamily.kext/Contents/MacOS/IOAudioFamily", should be 0, group is 20. User differs on "System/Library/Extensions/IOAudioFamily.kext/Contents/_CodeSignature", should be 0, user is 501. Group differs on "System/Library/Extensions/IOAudioFamily.kext/Contents/_CodeSignature", should be 0, group is 20. User differs on "System/Library/Extensions/IOAudioFamily.kext/Contents/_CodeSignature/CodeResources", should be 0, user is 501. Group differs on "System/Library/Extensions/IOAudioFamily.kext/Contents/_CodeSignature/CodeResources", should be 0, group is 20. User differs on "System/Library/Extensions/IOAudioFamily.kext/Contents/version.plist", should be 0, user is 501. Group differs on "System/Library/Extensions/IOAudioFamily.kext/Contents/version.plist", should be 0, group is 20.